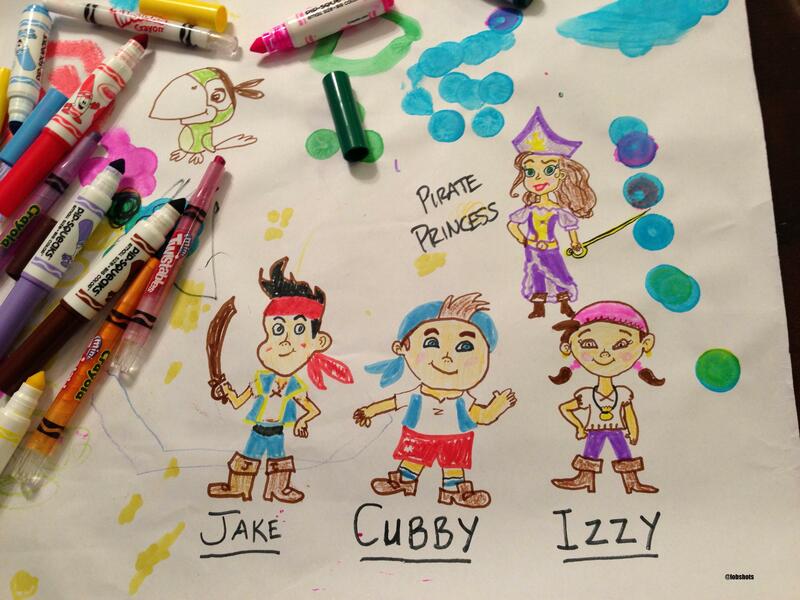 My 3-year-old daughter begged me to draw the characters from Jake and the Neverland Pirates, one of the cartoons she watches. It’s a Disney spin-off of Peter Pan. Anyway, I obliged to the best of my limited talent. I know a bunch of you lobsters are college punks…so this doesn’t really apply. However, for those of you that are parents… spend time with your kids. Learn the things that they love… and learn to love them too. Stupid as it is… sitting down with her and watching her get so excited with every stroke of the marker as I drew these silly characters… meant the world to me. *yes, I know that Jake looks a bit like Sloth from Goonies…. thanks.